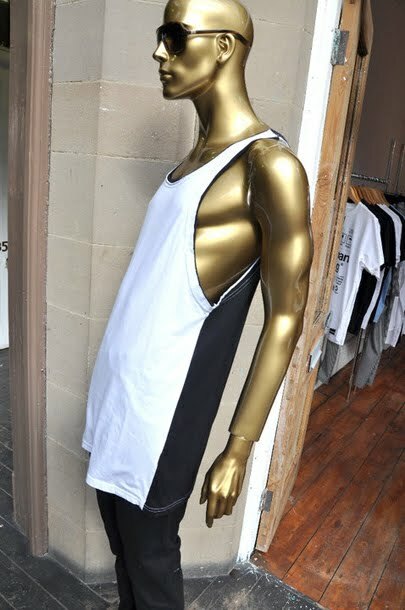 Here are a couple of snaps of our Jimmy Two-Tones singlet as shown on a mannequin in Dais Boutique, Byram Arcade, Huddersfield UK. 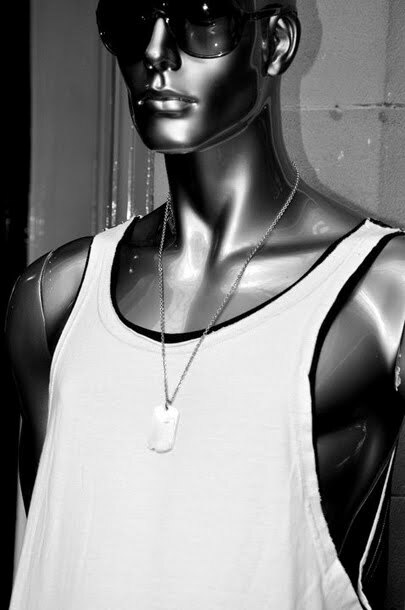 Dais is a rad store with some killer labels that's definitely worth checking out if you happen to be in England or if you have copious amounts of money and like to travel long distances to go shopping. You can check out the Dais blog here or the facey page here.